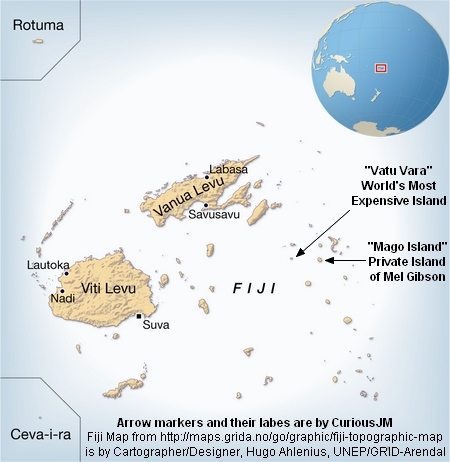 This small Island named “Vatu Vara” in Fiji is the World's most expensive Island. It was reportedly bought by some private party in 2006 for a record-setting sum of US $75 million. Mel Gibson’s private island 'Mago Island' is a good 20 miles (32 Km) East from here.